Grabbing a snack? 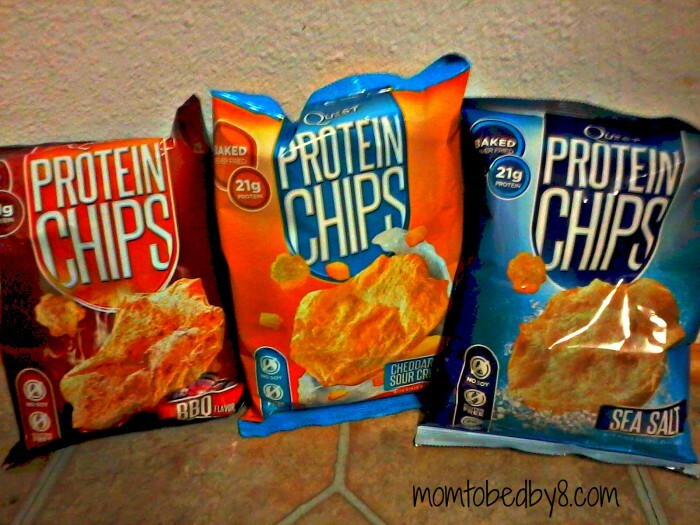 Try Quest Protein Chips. As a busy mom to three, finding that extra boost of energy can be quite the task. When I was staying home with my kids on maternity leave, I thrived off of coffee so that I could keep my energy up. I found myself not getting enough nutrients and I was crashing faster than the coffee was doing me any good. I am not sure if you are aware that protein gives you energy, which is why it is a perfect part of foods that you could use for dieting. I was not interested in finding the foods packed with protein for the dieting portion, but I was very much in need of it to keep my energy going throughout the day in a healthier way than just chugging down multiple cups of coffee. When I went back to work I was on a part time schedule, so I was not allowed a lunch break until I was off at 1:30 in the afternoon. How was I going to snack and not feel bogged down? I also did not have coffee readily at my disposal all day long anymore like I did with my Keurig when I was staying at home. I did some research of high protein foods that also tasted great. I was given the opportunity to review all three flavors that Quest offers in their chips: BBQ, Cheddar & Sour Cream, and Sea Salt. All three of them taste great and they are also packed with the protein that I needed. I take a bag with me every single day now to work and eat them at my 10:30 break. Not only do they satisfy my growling stomach, but the boost of energy that I need to continue through the next three hours of work is met. If you are conscious about a diet that you are on these are also recommended as a healthy part to one. Each of these bags has only 120 calories, so you won’t feel guilty about eating chips every single day. It does, however, state on the package that if you have a diet that only allows you 400 calories per day that you should not incorporate these chips without medical supervision to do so. Quest Chips have changed the game in the way that you are able to snack. With only 5g total in carbs and 21g of protein per bag, Quest has nailed making snacking on chips that are delicious…healthy. A lot of people are mistaken when they think that baking chips is what makes them healthy. Baking alone is not what makes a chip healthy. You have to have good stuff inside the chip as well. Quest has started from scratch and made their Protein Chips with only high quality ingredients, so you know that you can trust them. All of Quest’s Protein Chips are soy and gluten free. I admit that I was not quite sure what to expect about these chips, but I loved them. I proudly shared them with a woman that I work with that recently had surgery to reduce the size of her stomach in order to lose weight. She had shared with the team at work that she may be a little moody because she was having to drastically change her diet. The foods that she was listing off that her nutritionist had put her on sounded utterly horrible, but she mentioned that her diet now had to be high protein. Being the person that I am, I emailed her after the meeting and let her know about Quest Protein Chips. I let her know that I would bring her a bag to try to work (she is allergic to tomato, so the BBQ were out). 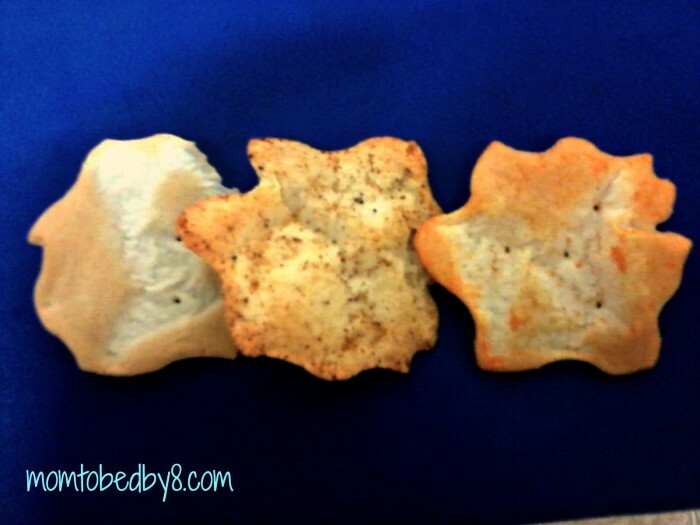 She chose that she wanted to try one of each of the other flavors, Sea Salt and Cheddar & Sour Cream. She took them home with her and let me know the next day that she tried them, talked with her nutritionist, and she now had a new snack that was approved for her to eat on her diet that was not horrible in taste. She thanked me profusely and I could not have been happier to make someone’s day with a product that I absolutely loved. These chips are all around awesome! I get the energy that I need and am filled up with a snack that tastes incredible. You do not feel like you are eating something that is healthy for you because they just taste that good. I also let my kids taste them and they are now in love. I have a non-greasy chip that they can snack on and I don’t have to feel guilty. They have energy and it is not from being on a sugar high. Quest has really hit snacking healthy right on the nose for anyone. I fully recommend them to anyone trying to get a little more energy with little ones or to have as a good tasting snack alternative on a diet. The Sea Salt are not overly salty. They have just enough taste to satisfy that chip craving whereas the Cheddar & Sour Cream and BBQ flavors are a little more robust. Each of the flavored chips have just the right kick of flavor. Snacking healthy has never tasted so good! Becca is a contributing writer to Mom to Bed By 8 and is also the blogger over at Manic Mama of 3. She is a mother of three that keeps the drive going with some good coffee and relaxing with books. Life can get a little hectic while working outside the home as well as blogging and being a full-time wife and mother, but she wouldn't change it for the world. Life without blogging and sharing about products just wouldn't be normal anymore.